See our list of the latest new Hotels in Hua Hin and the nearby town of Cha Am, located just over 200 kilometres south of Bangkok on the Gulf of Thailand. Hua Hin is famous as Thailand's first beach resort and the "Royal Beach Resort" as the present Royal Family and previous Kings have had their beach retreats built along these shores. To read previous guests reviews, find availability and room prices, click on the hotels name. This new luxury beach resort in Hua Hin has recently undergone a complete refurbishment and rebranding and re-opened in August 2018 (formerly the Asara Villa & Suite Hua Hin). 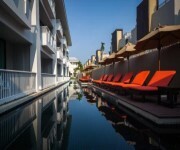 The resort offers 96 spacious suites and private pool villas, a spa, fitness centre, two restaurants and a beach bar. A new designer / chic hotel in Hua Hin opened in 2018 offering just 23 rooms in three different "Chocolate" types - White (sleeps 2) - Milk (sleeps 4) - Dark (sleeps 6). This new Hua Hin accommodation is located in the quieter southern end of the beach, in Khao Takiab, offering luxurious accommodation from Deluxe Rooms, to Suites and one and two bedroom private pool Villas. 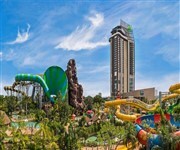 This brand new resort in Hua Hin was opened at the end of 2017 by IHG and is a family friendly hotel located right next to the Vana Nava Hua Hin Water Park. The hotel offers a total of 300 guest accommodations, a range of food and beverage outlets, swimming pool, kids club, sky deck, gym and the Tea Tree Spa. 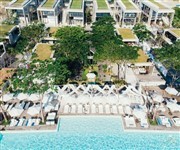 A new luxury beach resort located on the quiet beach just outside Cha-am town, off the main road to Hua Hin, offering a range of luxurious suites and large villas. This new luxury beachfront resort in nearby Cha-am opened in April 2017 and is located on the quieter beaches between Hua Hin town and Cha-am town. 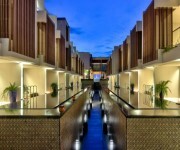 The property offers a total of 196 luxurious guest accommodations, ranging from spacious rooms, to suites and villas. A new luxury beach resort on the more peaceful beaches to the north of Hua Hin opened in September 2016. The property offers a total of 118 guest accommodation in rooms and suites, a number of which have direct access to the pool. 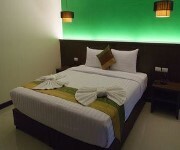 A new deluxe accommodation in Hua Hin opened in mid 2016 located around 20 minutes walk north of the centre of town. This top luxury new 5 star beach hotel in Hua Hin was opened in March 2016, set in acres of landscaped tropical gardens along the main beach, with five swimming pools. This 5 star new hotel in Cha Am beach (around 35 kms to the north of Hua Hin) was opened in early 2016 after a refurbishment (formerly the Hotel de la Paix) and lies on a quiet beach to the north of Cha Am town. A good value new 3 star hotel in Hua Hin opened in late 2015, located along the main road, 10 - 20 minutes walk away from the town centre and public beach. Opened in 2105, this new beach-front hotel in Hua Hin offers just 14 accommodations comprising of 2 and 3 bedroom villas and 1, 2 and 4 bedroom suites. The property offers a good location close to the centre of the town, with many restaurants and the night market within a 10 - 15 minute walk. A recently renovated deluxe hotel located just a couple of minutes walk away from the beach. The property is located in a fairly peaceful area 5- 10 minutes drive from the centre of town, next to the Let's Sea Hotel. 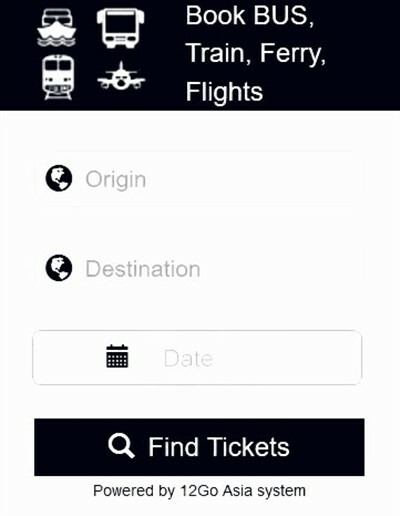 Please visit this page again to find the latest opening for 2019.